Texas Freckles: I can't believe it... I won! I won the most fab-u-lous giveaway! 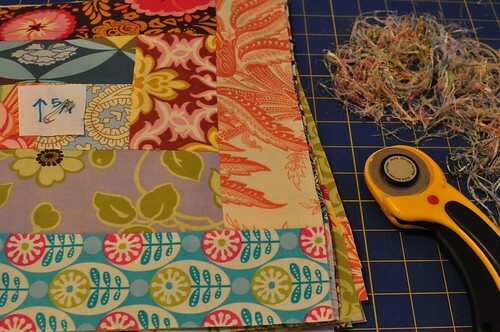 As part of Sew Mama Sew's December Giveaway Day, Elizabeth at Oh, Fransson! 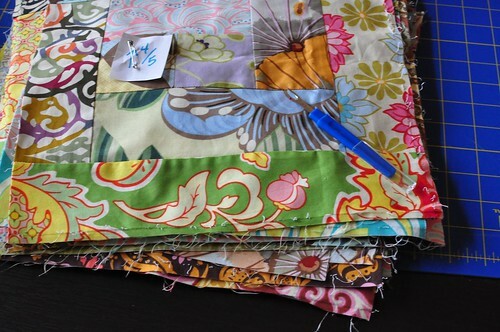 offered to make a custom quilt for one lucky winner. That's me! I am so excited! I'm in shock! Thank you so much, Elizabeth! Before the "I won!" mayhem broke out around here, I was working on the scrappy log cabin. I decided to take it apart and I'm so glad I did. It was just too busy with all that crazy randomness going on. I'm not sure what I was thinking when I sewed it together. I got blocks separated, cleaned up, and re-squared. I'm using some Bella white to add a 1.5" sashing between the blocks. That process should go rather quickly and then I'll be back on track. The sour cream chocolate cake with peanut butter frosting and chocolate peanut butter glaze from smittenkitchen.com was wonderful! It was as rich and intense as I imagined and was a big hit at our Sunday school class' Christmas Party last night. I think I'll make it again for our family Christmas. I'm so excited tonight! I still can't believe I won! Congrats Melanie, I'd be excited if I won too! I love your blog name, do you have freckles? They were the bane of my existence as a child! 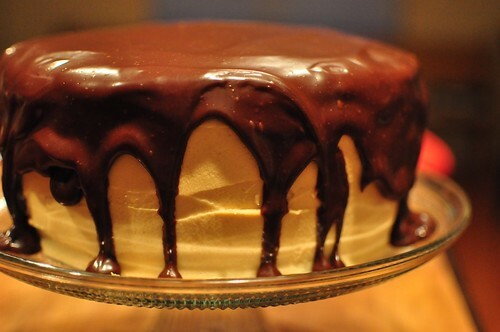 That chocolate cake looks scrumptious. Congratulations Melanie! It's always exciting to win. By the way, I agree with your reconstruction of the log cabin quilt. Congrats on your win! That is just fantastic! Congrats on winning Elizabeth's custom quilt! You're so lucky!!!! congrats!! those were quite the prize to win!